There is much value n the mainframe but it doesn’t become clear until you do a full TCO analysis. When you talk to an IBMer about the cost of a mainframe the conversation immediately shifts to TCO, usually in the form of how many x86 systems you would have to deploy to handle a comparable workload with similar quality of service. The LinuxONE Emperor II, introduced in September, can beat those comparisons. Proponents of x86 boast about the low acquisition cost of x86 systems. They are right if you are only thinking about a low initial acquisition cost. But you also have to think about the cost of software for each low-cost core you purchase, and for many enterprise workloads you will need to acquire a lot of cores. This is where costs can mount quickly. As a result, software will likely become the highest TCO item because many software products are priced per core. Often the amount charged for cores is determined by the server’s maximum number of physical cores, regardless of whether they actually are activated. In addition, some architectures require more cores per workload. Ouch! An inexpensive device suddenly becomes a pricy machine when all those cores are tallied and priced. Finally, x86 to IBM Z core ratios differ per workload, but x86 almost invariably requires more cores than a z-based workload; remember, any LinuxONE is a Z System. For example, the same WebSphere workload on x86 that requires 10 – 12 cores may require only one IFL on the Z. The lesson here: whether you’re talking about system software or middleware, you have to consider the impact of software on TCO. Dynamically add cores, memory, I/O adapters, devices, and network cards without disruption. Grow horizontally by adding Linux instances or grow vertically by adding resources (memory, cores, slots) to existing Linux guests. After the peak subsides automatically return unused resources to the resource pool for reallocation to another workload. So, what does this mean to most enterprise Linux data centers? For example, IBM often cites a large insurance firm. The insurer needed fast and flexible provisioning for its database workloads. The company’s approach directed it to deploy more x86 servers to address growth. Unfortunately, the management of software for all those cores had become time consuming and costly. The company deployed 32 x86 servers with 768 cores running 384 competitor’s database licenses. By leveraging elastic pricing on the Emperor II, for example, it only needed one machine running 63 IFLs serving 64 competitor’s database licenses. It estimated savings of $15.6 million over 5 years just by eliminating charges for unused cores. (Full disclosure: these figures are provided by IBM; DancingDinosaur did not interview the insurer to verify this data.) Also, note there are many variables at play here around workloads and architecture, usage patterns, labor costs, and more. As IBM warns: Your results may vary. BTW the Emperor II also anchors IBM’s Blockchain cloud service. That calls for security to the max. In the end. the Emperor II is unlike any x86 Linux system. Hardware designed to give good response time even with 100% utilization, which simplifies the solution and reduces the extra costs x86 users assume are necessary because they’re used to keeping a utilization safety margin. This goes far beyond TCO. Just remember all the things the Emperor II brings: scalability, reliability, container-based security and flexibility, and more. DancingDinosaur is Alan Radding, a Boston-based veteran information technology analyst, writer, and ghost-writer. Please follow DancingDinosaur on Twitter, @mainframeblog. See more of his IT writing at technologywriter.com and here. With all respects to Casey at Bat author Ernest Thayer, joy may have returned to Mudville. IBM finally broke its 22 consecutive quarters losing streak and posted positive results in 4Q 17. Fourth-quarter revenue of $22.5 billion, up 4 percent but that was just the start. IBM is counting on its strategic imperatives to come through big and they did in 2017. Full-year strategic imperatives revenue of $36.5 billion, up 11 percent; represents 46 percent of IBM revenue. Similarly, IBM is making some gains in the highly competitive cloud business where IBM is fighting to position itself among the top ranks of formidable cloud players—Google, Amazon, and Microsoft. IBM did quite respectably in the cloud, posting $17 billion in cloud revenue, up 24 percent year to year. DancingDinosaur readers will be interested to know that some of IBM’s various business segments, which have been a steady drain on IBM revenue turned things around in the 4th quarter. For example, Systems (systems hardware and operating systems software) saw revenues of $3.3 billion, up 32 percent driven by growth in IBM Z, Power Systems, and storage. That’s important to readers charged with planning their organization’s future with the Z or Power machines. They now can be confident that IBM mightn’t the sell the business tomorrow as it did with the x86 systems. IBM has done well in some business and technology segments. Specifically, the company reported gains in revenues from analytics, up 9 percent, mobile, up 23 percent, and security, up a whopping 132 percent. Other segments have not done as well. Technology Services & Cloud Platforms (includes infrastructure services, technical support services, and integration software) continue to lose money. A number of investment analysts are happy with IBM’s financials but are not optimistic about what they portend for IBM’s future. For instance, Bert Hochfeld, long/short equity, growth, event-driven, research analyst, writes in Seeking Alpha, “the real reason why strategic imperatives and cloud showed relatively robust growth last quarter has nothing to do with IBM’s pivots and everything to do with the success of IBM’s mainframe cycle. IBM’s Z system achieved 71% growth last quarter compared to 62% in the prior quarter. New Z Systems are being delivered with pervasive encryption, they are being used to support hybrid cloud architectures, and they are being used to support Blockchain solutions… Right now, the mainframe performance is above the prior cycle (z13) and consistent with the z12 cycle a few years ago. And IBM has enjoyed some reasonable success with its all-flash arrays in the storage business. Further, the company’s superscalar offering, Power9, is having success and, as many of its workloads are used for AI, its revenues get counted as part of strategic initiatives. But should investors count on a mainframe cycle and a high-performance computer cycle in making a long-term investment decision regarding IBM shares? He continued: “IBM management has suggested that some of the innovations in the current product range including blockchain, cryptography, security and reliability will make this cycle different, and perhaps longer, then other cycles. The length of the mainframe cycle is a crucial component in management’s earnings estimate. It needs to continue at elevated levels at least for another couple of quarters. While that is probably more likely, is it really prudent to base an investment judgement on the length of a mainframe cycle? Of course, many DancingDinosaur readers are basing their career and employment decisions on the mainframe or Power Systems. Let’s hope this quarter’s success encourages them; it sure beats 22 consecutive quarters of revenue declines. Do you remember how Thayer’s poem ends? With the hopes and dreams of Mudville riding on him, it is the bottom of the 9th; Casey takes a mighty swing and… strikes out! Let’s hope this isn’t IBM. At a time when IBM promised that automatic pervasive encryption on the new Z would spell an end to worries about security an Israeli company stepped forward this week to insist that the z14, or just Z, can’t do the entire job. Pervasive encryption can be undermined by Advanced Persistent Threats (APT), which co-op legit users as they access protected data. Illusive Networks introduced its security tool, Mainframe Guard, earlier this week at Sibos in Toronto. Mainframe Guard enables admins to action against advanced, targeted cyberattacks by detecting and disrupting movement toward critical business assets early in the attack cycle. Illusive deploys sophisticated and confusing honeypots to distract, misguide, and trap an attacker before he or she can touch the data. In short, the security staff can identify and intervene against advanced, targeted cyberattacks by detecting and disrupting movement toward critical business assets early. With the new Z and pervasive security, of course, that data will already be encrypted and the keys safely stored out of reach. At a time when organizations of all types and in every market segment are under attack from hackers, ransomware, data breaches, and more all data center managers should welcome any data protection tools that work. Yet 96% don’t even bother to encrypt—too costly, too cumbersome, too complicated. As DancingDinosaur noted at the Z launch, the list of excuses is endless. Of the 9 billion records breached since 2013 only 4% were encrypted! And you already know why: encryption is tedious, impacts staff, slows system performance, costs money, and more. Such attitudes, especially at a mainframe shop, invite serious breaches. While IBM’s latest mainframe automatically encrypts all transaction data, the vast majority of systems expose significant vulnerabilities. Making the situation even worse; the need to secure against innovations such as mobile applications, cloud-based services, and smart devices presents new challenges. “Organizations are sometimes reluctant to upgrade legacy applications and databases on these enterprise servers, particularly in today’s always-on economy. But unless you address every link in the end-to-end process, you haven’t secured it.” noted Andrew Howard, CTO at Kudelski Security, which cites experience remediating mainframe systems in the wake of cyber breaches. Even older mainframe shops—pre pervasive encryption—can have effective security. Consider adding Mainframe Guard, which requires you to actively follow the threats and initiate defensive actions. So how might an attacker today get around the Z’s pervasive encryption? The attack typically starts with lurking and watching as legitimate users gain access to the system. The attacker will then impersonate a legit user. Illusive, however, lures the attacker to locations where the attacker may think he or she has found a trove of intelligence gold. “Remember, the attacker doesn’t know which machine he has landed on,” said Ofer Israeli, CEO of Illusive Networks. Unless the attacker brings inside information, he is blind inside the network. From there Illusive leads constantly baits the attacker with deceptive information, which the attacker will have to dodge correctly to avoid giving away the attack. An interactive layer added to the Illusive Trap Server mimics mainframe behavior and login screens, tricking attackers into believing they are interacting with an actual mainframe system. When everything is encrypted and the keys, APIs, and more are safeguarded with the Z’s pervasive encryption on top of Illusive’s deceptions, maybe you can finally begin to relax, at least until the next level of attacks start to emerge. BTW, DancingDinosaur will be away for 2 weeks. Given IBM’s just released Q3 results. you can hear IBM’s relief even before I’m gone. Expect some celebrating around the Z; nothing like a new machine to boost revenues. Look for DancingDinosaur the week of Nov. 6. Just in case you missed the incessant drumbeat coming out of IBM, the company committed to cognitive computing. But that works for z data centers since IBM’s cognitive system is available on-premises only for the z. Another z first: IBM just introduced Machine Learning (key for cognitive) for the private cloud starting with the z. There are three ways to get IBM cognitive computing solutions: the IBM Cloud, Watson, or the z System, notes Donna Dillenberger, IBM Fellow, IBM Enterprise Solutions. The z, however, is the only platform that IBM supports for cognitive computing on premises (sorry, no Power). As such, the z represents the apex of programmatic computing, at least as IBM sees it. It also is the only IBM platform that supports cognitive natively; mainly in the form of Hadoop and Spark, both of which are programmatic tools. What if your z told you that a given strategy had a 92% of success. It couldn’t do that until now with IBM’s recently released cognitive system for z. Your z system today represents the peak of programmatic computing. That’s what everyone working in computers grew up with, going all the way back to Assembler, COBOL, and FORTRAN. Newer languages and operating systems have arrived since; today your mainframe can respond to Java or Linux and now Python and Anaconda. Still, all are based on the programmatic computing model. IBM believes the future lies in cognitive computing. Cognitive has become the company’s latest strategic imperative, apparently trumping its previous strategic imperatives: cloud, analytics, big data, and mobile. Maybe only security, which quietly slipped in as a strategic imperative sometime 2016, can rival cognitive, at least for now. Similarly, IBM describes itself as a cognitive solutions and cloud platform company. IBM’s infatuation with cognitive starts with data. Only cognitive computing will enable organizations to understand the flood of myriad data pouring in—consisting of structured, local data but going beyond to unlock the world of global unstructured data; and then to decision tree-driven, deterministic applications, and eventually, probabilistic systems that co-evolve with their users by learning along with them. You need cognitive computing. It is the only way, as IBM puts it: to move beyond the constraints of programmatic computing. In the process, cognitive can take you past keyword-based search that provides a list of locations where an answer might be located to an intuitive, conversational means to discover a set of confidence-ranked possibilities. Dillenberger suggests it won’t be difficult to get to the IBM cognitive system on z . You don’t even program a cognitive system. At most, you train it, and even then the cognitive system will do the heavy lifting by finding the most appropriate training models. If you don’t have preexisting training models, “just use what the cognitive system thinks is best,” she adds. Then the cognitive system will see what happens and learn from it, tweaking the models as necessary based on the results and new data it encounters. This also is where machine learning comes in. IBM has yet to document payback and ROI data. Dillenberger, however, has spoken with early adopters. The big promised payback, of course, will come from the new insights uncovered and the payback will be as astronomical or meager as you are in executing on those insights. But there also is the promise of a quick technical payback for z data centers managers. When the data resides on z—a huge advantage for the z—you just run analytics where the data is. In such cases you can realize up to 3x the performance, Dillenberger noted. Even if you have to pull data from some other location too you still run faster, maybe 2x faster. Other z advantages include large amounts of memory, multiple levels of cache, and multiple I/O processors get at data without impacting CPU performance. When the data and IBM’s cognitive system resides on the z you can save significant money. “ETL consumed huge amounts of MIPS. But when the client did it all on the z, it completely avoided the costly ETL process,” Dillenberger noted. As a result, that client reported savings of $7-8 million dollars a year by completely bypassing the x-86 layer and ETL and running Spark natively on the z. As Dillenberger describes it, cognitive computing on the z is here now, able to deliver a payback fast, and an even bigger payback going forward as you execute on the insights it reveals. And you already have a z, the only on-premises way to IBM’s Cognitive System. DancingDinosaur follows technology, not financial investments, so you’d be an idiot if you considered what follows as investment advice. It is not. Still, as one who has built a chunk of his career around the mainframe, it is good to see the z System continuing to remain in the black and beating the sexier Power lineup although I do follow both closely. See the latest IBM financials here. Specifically, as IBM reported on Tuesday, revenues from z Systems mainframe server products increased 16 percent compared with the year-ago period (up 21 percent adjusting for currency). Total delivery of z Systems computing power, as measured in MIPS (millions of instructions per second), increased 28 percent. Revenues from Power Systems were up 4 percent compared with the 2014 period (up 8 percent adjusting for currency). Almost as good, revenues from Power Systems were up 4 percent compared with the 2014 period (up 8 percent adjusting for currency). Power revenues have been up most of the year although they got a little blurry in the accounting. In the storage market, which is getting battered by software defined storage (SDS) on one hand and cloud-based storage on the other, IBM reported revenues from System Storage decreased 11 percent (down 7 percent adjusting for currency). The storage revenues probably won’t bounce back fast, at least not without IBM bringing out radically new storage products. That storage rival EMC got acquired by Dell should be some kind of signal that the storage market as the traditional enterprise players knew it is drastically different. For now object storage, SDS, and even Flash won’t replace the kind of revenue IBM used to see from DS8000 disk systems or TS enterprise tape libraries loaded with mechanical robotics. Getting more prominence is IBM’s strategic initiative. This has been a company priority all year. Strategic initiatives include cloud, mobile, analytics, security, IoT, and cognitive computing. Q4 revenues, as reported by IBM, from these strategic imperatives — cloud, analytics, and engagement — increased 10 percent year-to-year (up 16 percent adjusting for currency). For the full year, revenues from strategic imperatives increased 17 percent (up 26 percent adjusting for currency and the divested System x business) to $28.9 billion and now represents 35 percent of total IBM consolidated revenue. For the full year, total cloud revenues (public, private and hybrid) increased 43 percent (up 57 percent adjusting for currency and the divested System x business) to $10.2 billion. Revenues for cloud delivered as a service — a subset of the total cloud revenue — increased 50 percent to $4.5 billion; and the annual as-a-service run rate increased to $5.3 billion from $3.5 billion in the fourth quarter of 2014. Meanwhile, revenues from business analytics increased 7 percent (up 16 percent adjusting for currency) to $17.9 billion. Revenues from mobile more than tripled and from security increased 5 percent (up 12 percent adjusting for currency). Commenting on IBM latest financial was Timothy Prickett Morgan, who frequently writes on IBM’s platforms. Citing Martin Schroeter, IBM’s chief financial officer, statements to analyst, Morgan suggested that low profit margins, which other financial analysts complained about, put pressure on the System z13 product line that launched early in the year. After a fast start, apparently, the z13 is now experiencing a slowdown in the upgrade cycle. It’s at this point that DancingDinosaur usually expects to see a new z, typically a business class version of the latest mainframe, the z13 in this case, but that does not appear to be in the offing. About the closest IBM got to that was the RockHopper model of the LinuxOne, a z optimized only for Linux, cloud, mobile, and analytics. Morgan also noted that IBM added about 50 new mainframe customers for the year on an installed base of about 6,000 active customers. DancingDinosaur has been tracking that figure for years and it has not fluctuated much in recent years. And am never sure how to count the handful of IT shops that run a z in the IBM cloud. But 5000-6000 active z shops still sounds about right. Power Systems, which has also grown four quarters in a row, and was up 8 percent at constant currency. This has to be a relief to the company, which has committed over $1 billion to Power. IBM attributes some of this growth to its enthusiastic embrace of Linux on Power8, but Morgan complains of having no sense of how much of the Power Systems pie is driven by scale-out Linux machines intended to compete against Intel Xeon servers. Power also is starting to get some boost from the OpenPOWER Foundation, members that started to ship products in the past few months. It’s probably minimal revenue now but over time it should grow. For those of us who are counting on z and Power to be around for a while longer, the latest financials should be encouraging. On Wednesday IBM introduced what it describes as the industry’s first intelligent security portfolio for protecting people, data, and applications in the cloud. Not a single product but a set of products that taps a wide range of IBM’s cloud security, analytics, and services offerings. The portfolio dovetails with IBM’s end-to-end mainframe security solution as described at Enterprise2014 last month. Cloud security certainly is needed. 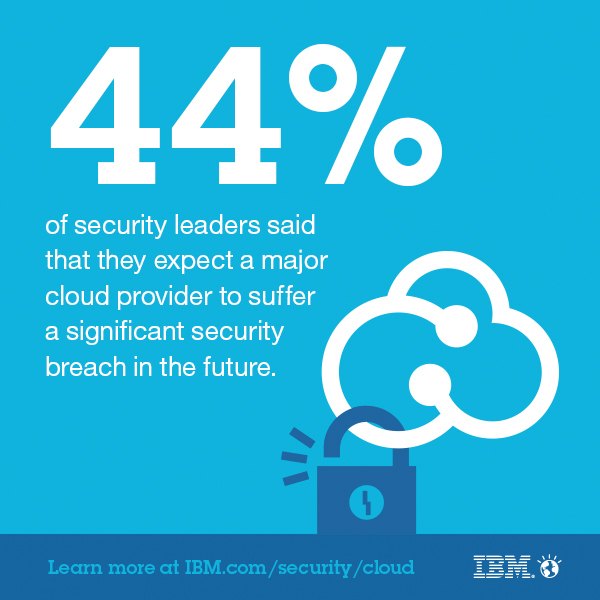 In a recent IBM CISO survey, 44% of security leaders said they expect a major cloud provider to suffer a significant security breach in the future; one that will drive a high percentage of customers to switch providers, not to mention the risks to their data and applications. Cloud security fears have long been one of the biggest impediments to organizations moving more data, applications, and processes to the cloud. These fears are further complicated by the fact the IT managers feel that much their cloud providers do is beyond their control. An SLA only gets you so far. The same survey found 86% of leaders surveyed say their organizations are now moving to cloud, of those three-fourths see their cloud security budget increasing over the next 3-5 years. As is typical of IBM when it identifies an issue and feels it has an edge, the company assembles a structured portfolio of tools, a handful of which were offered Wednesday. The portfolio includes versions of IBM’s own tools optimized for the cloud and tools and technologies IBM has acquired. Expect more cloud security tools to follow. Together the tools aim to manage access, protect data and applications, and enable visibility in the cloud. For example, for access management IBM is bringing out Cloud Identity Services which onboards and handles users through IBM-hosted infrastructure. To safeguard access to cloud-deployed apps it is bringing a Cloud Sign-On service used with Bluemix. Through Cloud Sign-On developers can quickly add single-sign on to web and mobile apps via APIs. Another product, Cloud Access Manager, works with SoftLayer to protect cloud applications with pattern-based security, multi-factor authentication, and context-based access control. IBM even has a tool to handle privileged users like DBAs and cloud admins, the Cloud Privilege Identity Manager. Here is a run-down of what was announced Wednesday. Expect it to grow. Now let’s see how these map to what the z data center already can get with IBM’s End-to-End Security Solution for the Mainframe. For starters, security is built into every level of the System z structure: processor, hypervisor, operating system, communications, and storage. In terms of security analytics; zSecure, Guardium, AppScan, and QRadar improve your security intelligence. Some of these tools are included in the new Cloud security portfolio. Intelligence is collected from z/OS, RACF, CA ACF2, CA Top Secret, CICS, and DB2. The zSecure suite also helps address compliance challenges. In addition, InfoSphere Guardium Real-time Activity Monitoring handles activity monitoring, blocking and masking, and vulnerability assessment. Of course the z brings its crypto coprocessor, Crypto Express4S, which complements the cryptographic capabilities of CPACF. There also is a new zEC12 coprocessor, the EP11 processor, amounting to a Crypto Express adapter configured with the Enterprise PKCS #11 (EP11) firmware, also called the CEX4P adapter. It provides hardware-accelerated support for crypto operations that are based on RSA’s PKCS #11 Cryptographic Token Interface Standard. Finally, the z supports the necessary industry standards, like FIPS 140-2 Level 4, to ensure multi-tenanted public and private cloud workloads remain securely isolated. So the cloud, at least, is handled to some extent. The mainframe has long been considered the gold standard for systems security. Now it is being asked to take on cloud-oriented and cloud-based workloads while delivering the same level of unassailable security. Between IBM’s end-to-end mainframe security solution and the new intelligent (analytics-driven) security portfolio for the cloud enterprise shops now have the tools to do the job right. And you will want all those tools because security presents a complex, multi-dimensional puzzle requiring different layers of integrated defense. It involves not only people, data, applications, and infrastructure but also mobility, on premise and off premise, structured, unstructured, and big data. This used to be called defense in depth, but with the cloud and mobility the industry is moving far beyond that. DancingDinosaur is Alan Radding, a veteran IT analyst with well over 20 years covering IT and the System z. You can find more of my writing at Technologywriter.com and here. Also follow DancingDinosaur on Twitter, @mainframeblog.